I love these old animations. 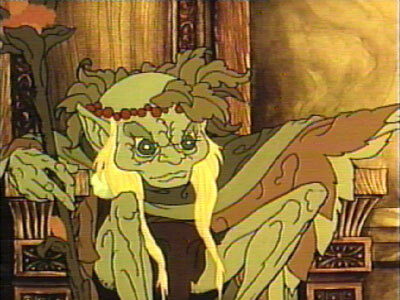 Especially the Rankin Bass version of Thranduil – hard to imagine that as Orlando Bloom’s dad! I know, right? One of the things I’m hoping for/looking forward to in The Hobbit is some depiction of the gaiety of the elves, both in Mirkwood and Rivendell. Everything was mostly serious business in LOTR; maybe in these new movies we will see elves laughing and having a good time! I’m enjoying a Hobbit re-read at the moment and I’ve just arrived in Mirkwood thinking the same thing! More singing and dancing Elves! I think Wood Elves in particular were meant to be much “earthier” than the Noldor and Sindarin who dominate Rings.